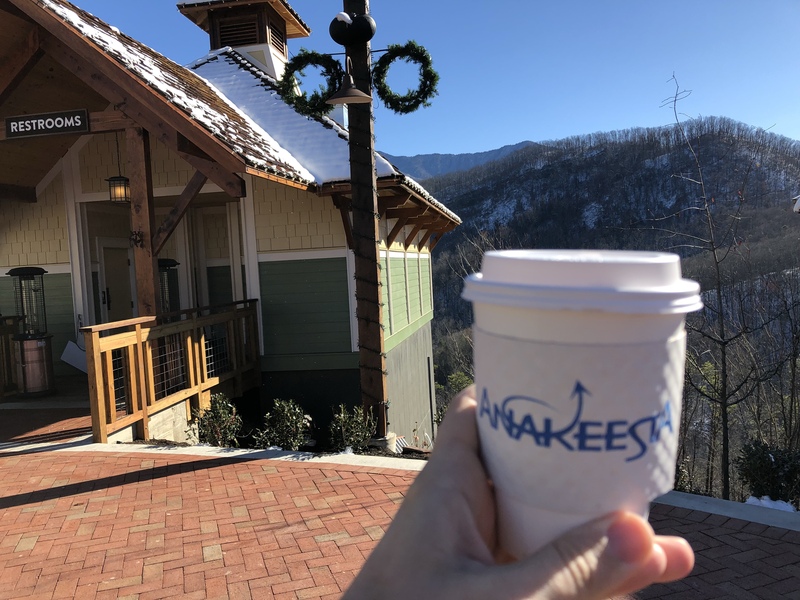 On a recent visit to Gatlinburg, Tennessee I got a chance to visit the city’s newest attraction known as Anakeesta. The 70-acre park is located on top of Anakeesta Mountain and can be accessed through the park’s Chondola system. 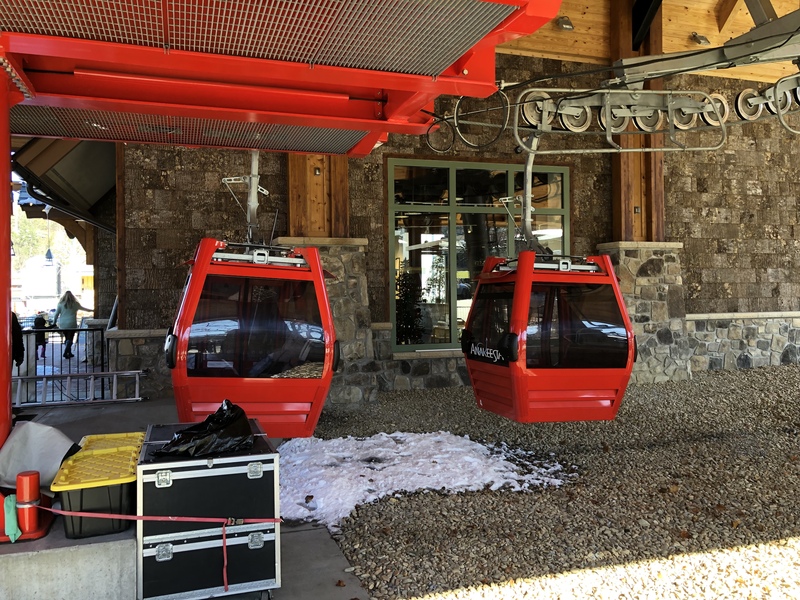 This brand new lift was built with 8 six-person gondola cabins and 104 four-seater chairlift seats bringing riders on a fourteen-minute ride to the top of the mountain. Once at the top, guests are greeted by Firefly Village, a brand new selection of shops and restaurants. It also serves as the gateway to the rest of the attractions as well as some great photo opportunities. 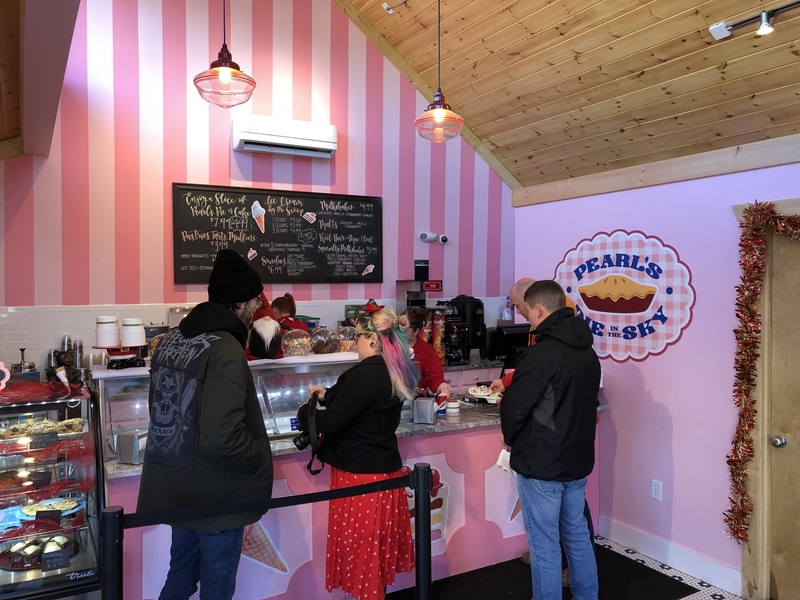 On the day of my visit, I decided to drop into Pearl’s Pie in the Sky bake shop, which also serves ice cream, cakes, and cookies. 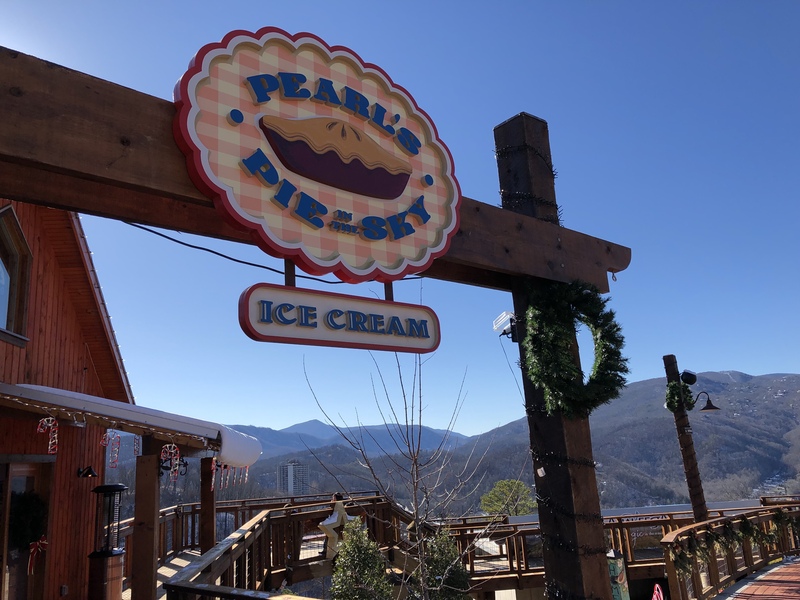 However, on the day of my visit Gatlinburg had just received several inches of snow, therefore, ice cream was out of the question. Instead, I opted for hot chocolate while taking in the views from the top of Anakeesta Mountain. 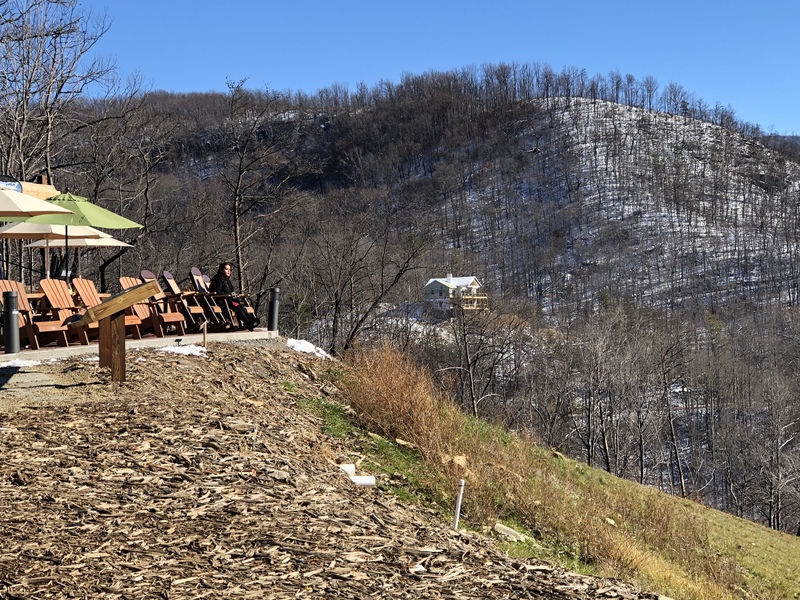 Firefly Village has several spots where visitors can relax, take photos or even sit in rocking chairs and admire the view. 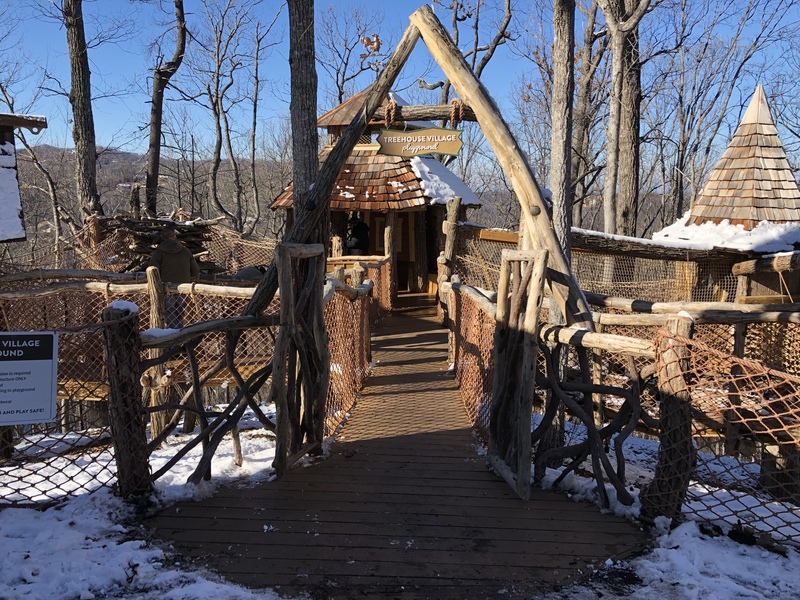 This area provides 360 degree views of the Great Smokey Mountains. Highly recommend taking the time to soak it all in once you’re at the top! My personal favorite activity at Anakeesta was the Memorial Forest walk. On November 28, 2016, over 17,000 acres of mountainside were devastated by fires. Pigeon Forge, the Great Smokey Mountain National Park, and even Gatlinburg were all affected. As a matter of fact, the construction of Anakeesta was pushed back several months due to the largest fire in Tennessee history. 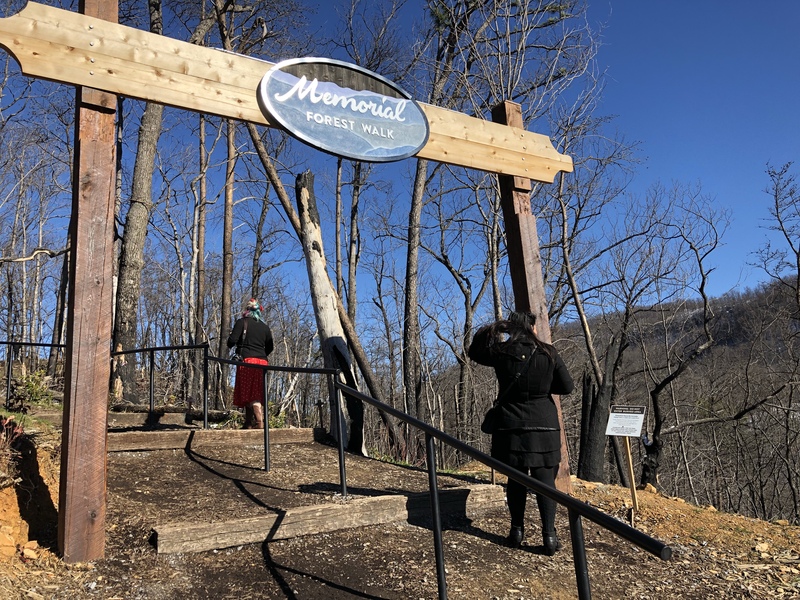 The park has created a path where visitors can actually walk through some of the damaged trees at the top of the mountain. In addition, there are some incredible photographs showcasing just how devastating those fires were. 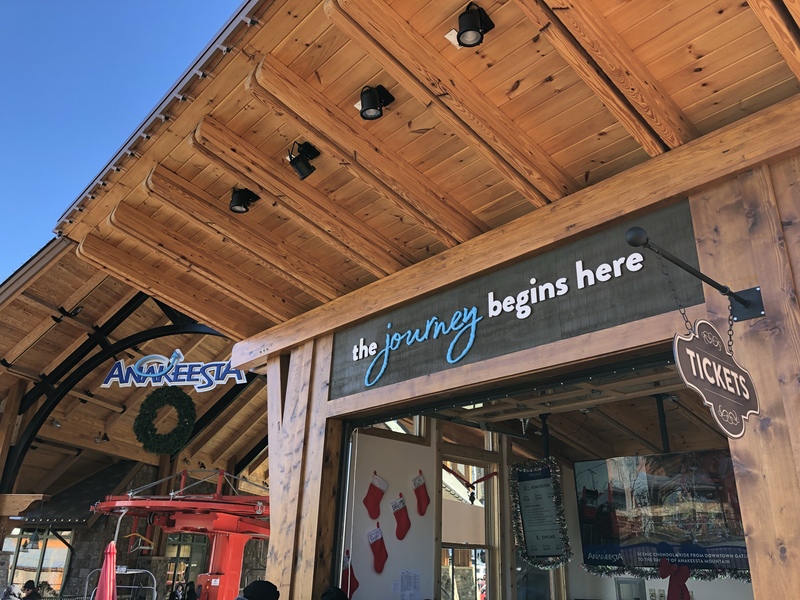 The installation was clearly not part of the original plans for Anakeesta, but the end result is a message of hope and resilience for the people of Gatlinburg. The other highlight was Treetop Canopy Walk. 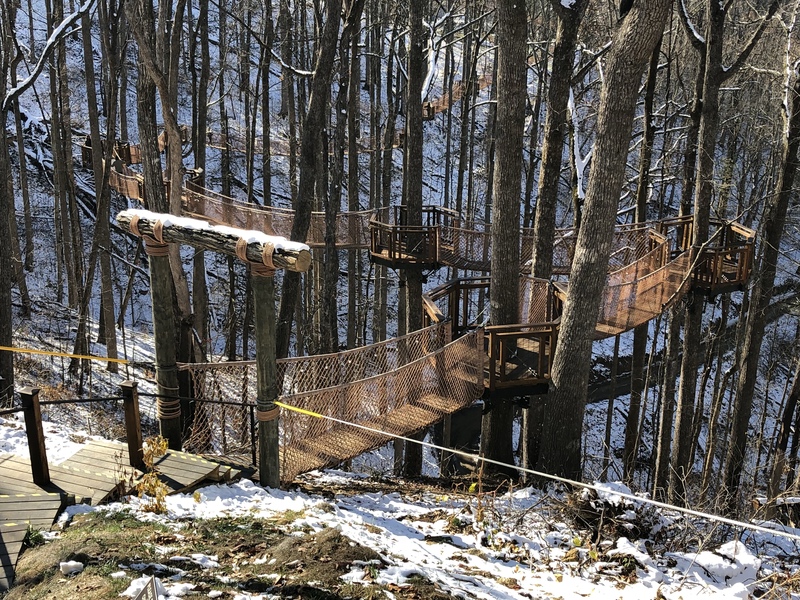 Sixteen connected sky bridges allow visitors to walk 40 to 60 feet above the mountain floor. Each suspension bridge leads to an observation platform where you can stop and take photos. On the day of our visit, there was still a fresh coating of snow which allowed for great picture taking opportunities. There is also a children’s playground as well as dueling zip lines. For an additional fee, guests can “race” each other on two zip lines that bring riders across the top of Anakeesta mountain. Even though Anakeesta is a new attraction, construction is already underway for the future of the park. 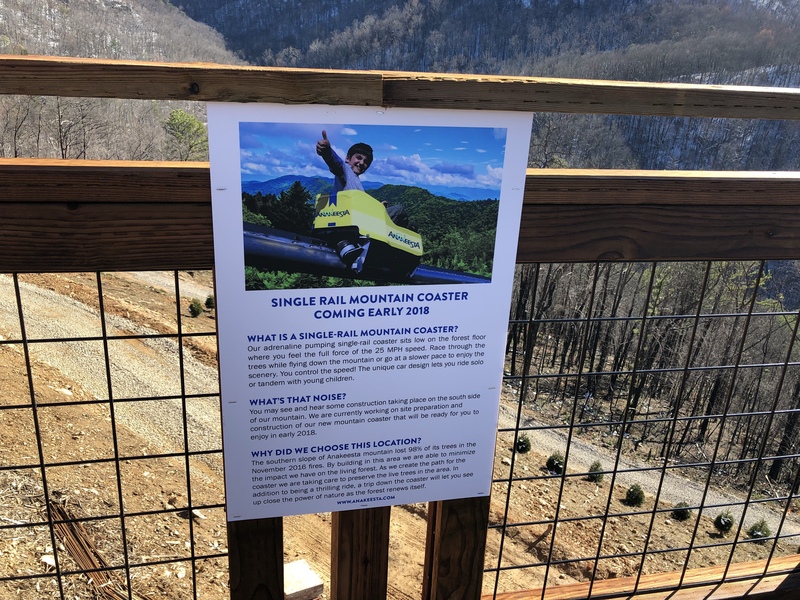 Projected to open by the Spring of 2018, a single rail mountain coaster is expected to open. Riders will zoom across the top of the mountain at 25 MPH on a one-of-a-kind design. In addition, the park plans to add an amphitheater for live concert events in the near future. 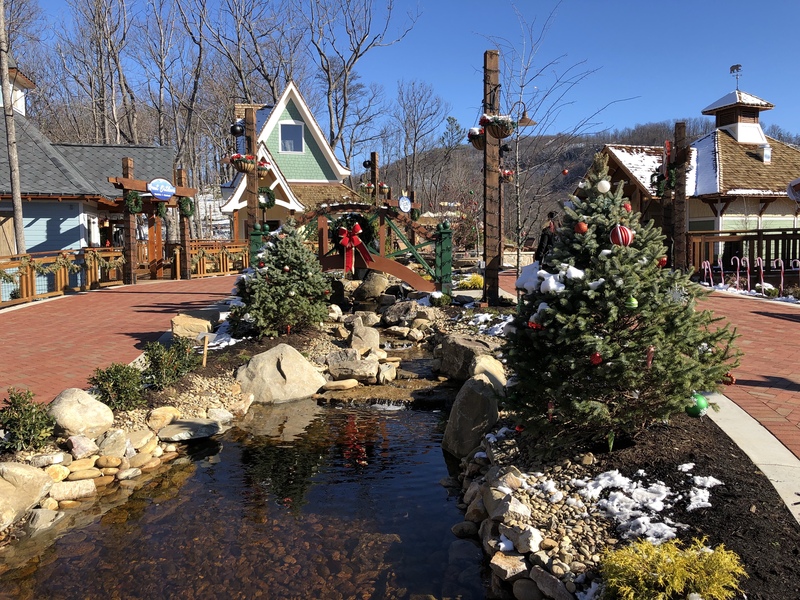 Without question, Anakeesta has become the must-see attraction of Gatlinburg. For more information visit Anakeesta.com. Many thanks to their team for hosting us! We will definitely be back! Tis the season for holiday shopping. If you’re buying anything on Amazon this holiday season, click on any of the Amazon links at Theme Park University before you do your holiday shopping or add this link to your bookmark list. This costs you NOTHING extra, but it helps support Theme Park University and we greatly appreciate it. 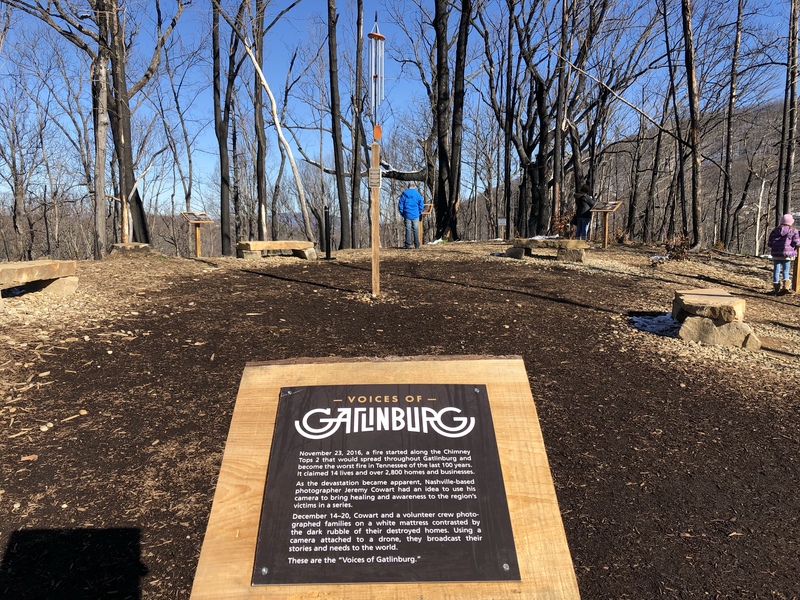 This entry was posted in Outside The Parks and tagged Anakeesta, Chondola, Gatlinburg, Gatlinburg Fires, Tennessee. Bookmark the permalink. Trackbacks are closed, but you can post a comment.